The rules in Switzerland are clear. With one exception, anyone passing on the right is breaking the law. In practice, many drivers are confused. Article 35 of Switzerland’s federal road traffic states that drivers can only pass on the left. The only time passing on the right is permitted is when there are parallel queues of traffic and no pedestrians or bikes etc crossing – article 8, clause 3. In addition, this clause explicitly prohibits passing around vehicles using the right lane. Switzerland’s courts have shown some leniency when applying the rules. In 2015, the Federal Tribunal acquitted a driver convicted of passing two cars on Switzerland’s A1 after switching into the right lane. The tribunal decided the maneuver was acceptable because the driver did not accelerate. Instead, the passing occurred because cars in the left lane slowed down, something the tribunal called passive passing. The ruling saved the driver from a CHF 1,550 fine. 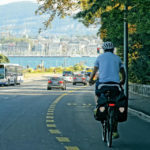 In 2013, when politician Thomas Hurter proposed allowing drivers on multi-lane roads to pass on the right, the Federal Council, the executive branch of Switzerland’s government, rejected the idea. According to 20 Minutes, the subject has returned to the political discussion table. This time, another politician, Thierry Burkart, proposes changing the rules to allow drivers to move past queued vehicles on the right, while maintaining the current ban on passing on the right. 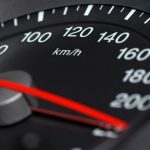 His proposal focuses on a distinction between moving past slower vehicles – something that would be permitted – and accelerating and driving around them – something that would remain banned. One estimate suggests adjusting the law could increase motorway capacity by 5% to 10%. 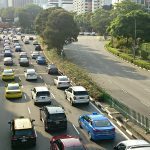 Speaking to the news service ATS, Thomas Rohrbach, a spokesperson for the federal roads office, said that these days the traffic is much denser in the left lane, something which might be explained by a right-lane passing phobia. The Federal Council supports Mr. Burkart’s idea. Parliament will discuss it next spring. Until then, left is still best.